The Vacuum Dryer is suitable for drying heat sensitive raw materials that can decompose and polymerize and metamorphose at high temperature. It is wide used in pharmaceutical, chemical, foodstuff and electronic industries it is well known that vacuum drying is to put raw material to the state of vacuum for heating and drying. 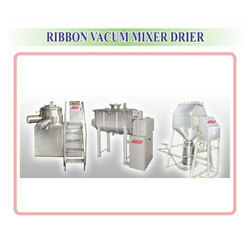 JABHASE Rotocone Vacuum Dryer(RCVD) is used for drying such material , which cannot be operated at low temperature and easily oxidized & poisonous in nature . 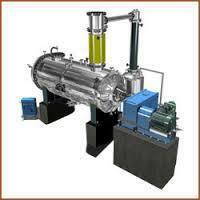 RCVD designed for drying the product under vacuum & simultaneously heating the product by hot water, steam, and hot oil system. Main cone shell-welded with conical ends and insulated through the jacket.